Pune Solapur Highway is a National Highway 65, starts at Pune and runs along the states of Telangana and Andhra Pradesh. The Highway has list of tourist attractions along the way such as Theur Ganpati,Bhigwan Sanctuary and Rehekuri Blackbuck Sanctuary. We come up with an Itinerary on Solapur Highway that will cover all the popular places around Pune on the highway such as Bhuleshwar Temple near Yawat, Mayureshwar Wildlife Sanctuary near Supe etc. Start early morning and drive directly to Chintamani Temple at Theur, Get the blessing of Lord Ganesha and move towards Yawat. 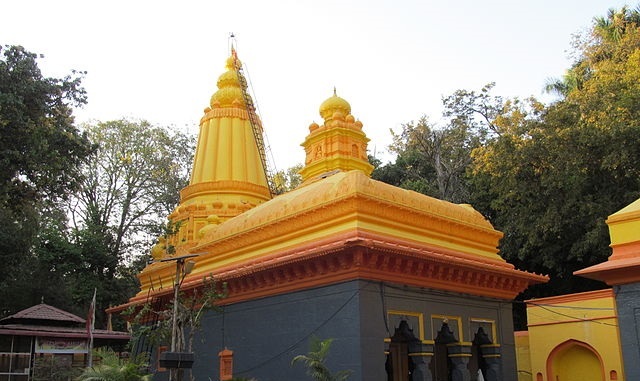 Chintamani Temple at Theur is one of the most famous temple of Ashtavinayaka near Pune, located near the confluence of Bhima and Mula Mutha river. Bhuleshwar Lord Shiva Temple is situated on a hill, 45 kilometres from Pune. The ancient and beautiful Shiva temple is located on the Solapur highway just short of Yawat. Bhigwan Bird Sanctuary in Baramati is located on the border of Pune and Solapur district. The small dusty town is perfect destination for bird watcher around Pune and home to list of migratory birds during the winter season, especially flamingo. 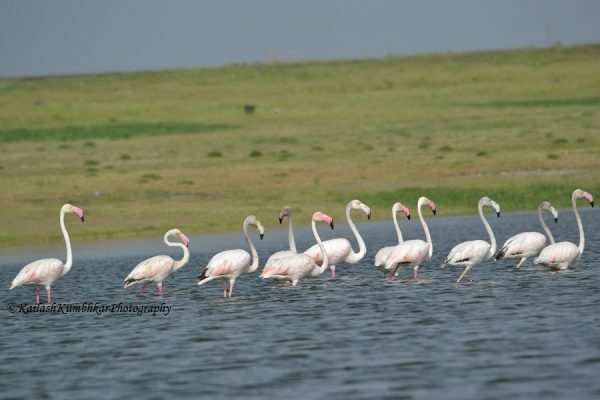 List of birds found on the backwaters of Ujani dam at Bhigwan are pink flamingo, barheaded geese,demoiselle cranes,Painted storks and flocks of hundreds of flamingos,Raptors and Eurasian spoonbill. For More Inforation – Please visit bird Photography at Bhigwan. At Bhigwan try Chilapi fish (Tilapia) fry and enjoy your stay in the lap of nature. Get up early in the morning and visit the backwaters of Ujani dam for early morning sightseeing of birds then move to Rehekuri Blackbuck Sanctuary. 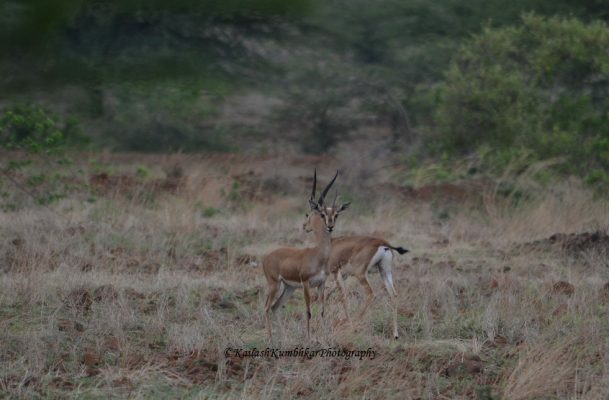 Rehekuri Blackbuck Sanctuary is located 50 km from Bhigwan,situated in outskirts of Karjat city. The sanctuary is famous for fascinating world of the BlackBuck, Indian Antelope. Shri Laxmi Narsimha Temple is situated in Nira Narsingpur village in Indapur taluka, at the confluence of Bhima river and Nira river. This beautiful temple is located off Tembhurni – Akluj road in Indapur taluka on the Pune-Solapur highway. After spending the first half in Rehekuri drive directly to Mayureshwar Wildlife Sanctuary in Supe. The sanctuary is a popular wildlife destination near Pune and known for healthy population of Chinkaras or Indian Gazelle,Indian wolf and Striped hyena. Start your 3rd day by blessing of Morgaon Ganesha, Another most famous Ashtavinayaka lord Ganesha temples in Maharashtra. Ganesha Temple at Morgaon is the starting and ending point of eight revered Ganesha temples, located about 80 kilometres away from Pune city. 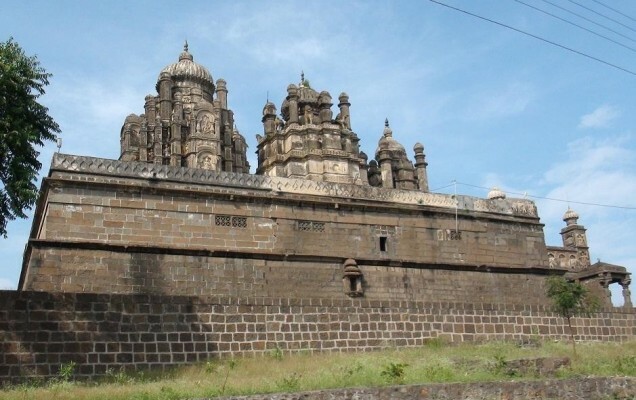 Lord Khandoba Temple at Jejuri is the main temple of Lord Khandoba, situated 48 km on Pune-Saswad Pandharpur Road. 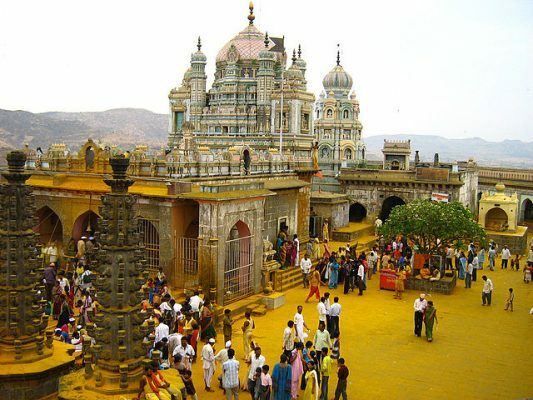 Jejuri Temple has very unique way of celebration by showering turmeric powder, so make sure you have an extra pair of cloths. Shrinath Mhaskoba Temple at Veer illage in Purandhar Tehsil is located near the town of Saswad. The temple has gulal colors to get thrown at you. On 3rd day of your visit once you reached Saswad in the evening, Spend over night in there and have some Vada Pav, Misal Pav and Sukha Bhel. Start your beautiful 5 day by visiting famous Ek Mukhi Datta Temple and near by Lord Balaji Temple. Visit the twin forts of Purandar and Vajragad in the Western Ghats, used by the National Cadet Corps academy. 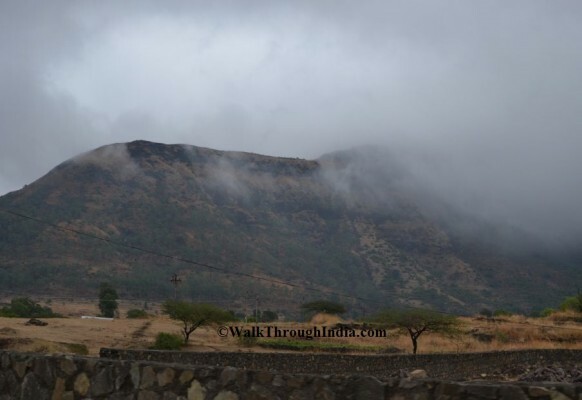 Purandar Fort is situated near the famous place of Pune region, Narayanpur. The twin forts of Purandar and Vajragad are located 50 km to the southeast of Pune and a hotspot for paragliding and trekkers. Purandar is famous for Fig (Anjeer) fruit and also gets Geographical Indications under Horticultural products. On way back to Pune, One can buy fresh fruits at road side such as Guava, Purandar Fig and Pomegranate. Narayanpur is famous for Lord Ek Mukhi Datta temple,Narayaneshwar temple and near by Lord Balaji Temple, replica of Tirumala Tirupati. In 1 day visit, one can cover all three places and drive back to Pune from Saswad Grasslands via Dive ghat. Baneshwar Shiva temple is located in Nasrapur, 20 km from Narayanpur in Bhor Taluka. There is a small bird sanctuary located around the Baneshwar conserve forest and wildlife sanctuary. Purandar valley is a must visit monsoon season place around Pune along with Dive ghat, Saswad Grasslands,Baneshwar forest and Kanifnath Temple near Saswad. Saswad is situated on the banks of Karha river, just 25 km away from Pune city and may become part of Pune metropolitan area. The town has PMPML bus service from Hadapsar and base village for famous places such as Khandoba temple at Jejuri, ek mukhi Datta temple at Narayanpur and Mhaskoba Temple at Veer also known for wildlife at the Saswad Grasslands such as Indian wolf and Striped hyena.